I have a blog now, visit me >>here<< for latest updates! Eine deutsche Version meines Blogs gibt es >>hier<< ! 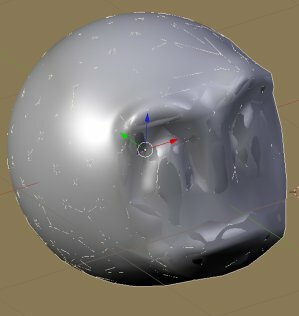 For this tutorial you need Blender 2.46 or one of the svn builds from graphicall.org. Here's my model. Created from a cube with Multires and Sculpt mode. 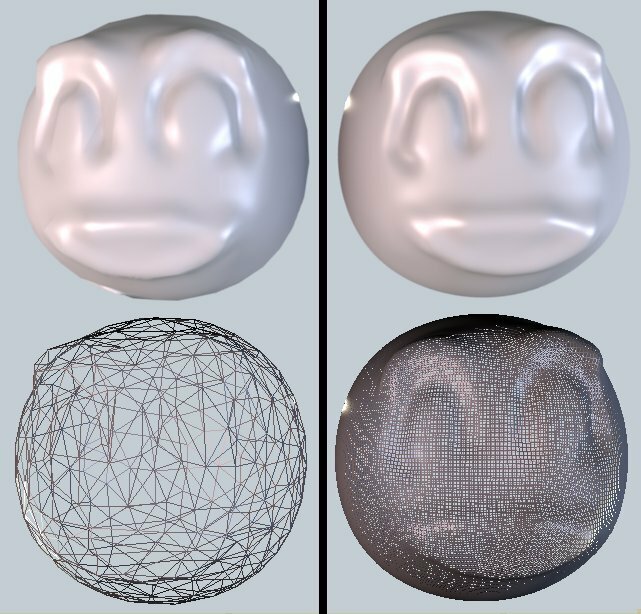 The low-poly model is a copy of the hi-res model with an applied decimate modifier. The first step is to unwrap the low poly model and create a texture. 1. Select the low-poly model and enter edit mode (Tab). 2. 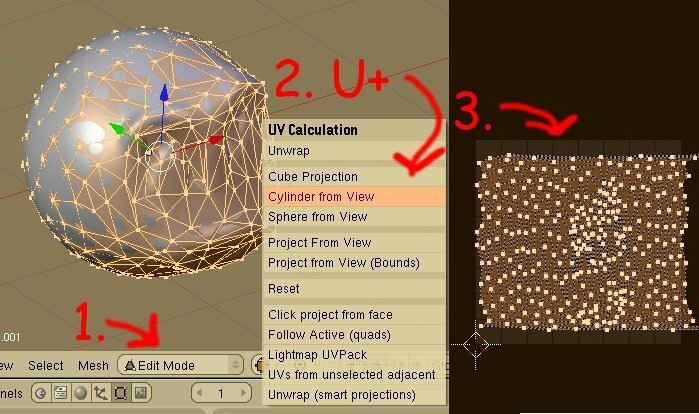 Select all faces, vertices or edges and press U to open unwrap dialog (I'm using Cylinder from view because it's easier and it's okay as example. But for more complicated objects you should unwrap your model properly). 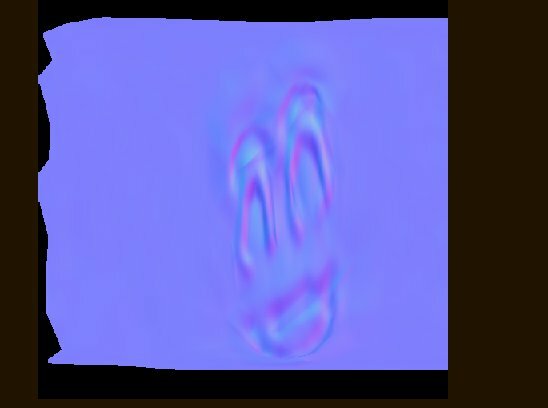 3. in the Texture/Image window yu wll see the unwraped map. The next step is to create a texture. 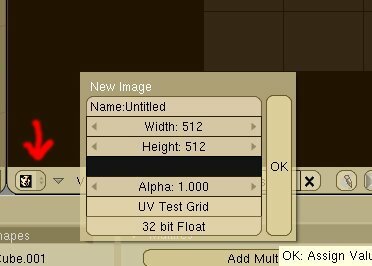 Leave the selection as it is and create a new texture from the Texture/Image window with Image->New. Select a resolution you need or like. Now leave edit mode and move your low poly model so that it covers the hi-poly model completely. The final step is to bake the normal map. Select your hi-poly model with the right mouse button then hold Shift and select the low-poly model. From the render menu enable Select to Active (1.) and the bake Normals (2.). But this is not exactly what we need. 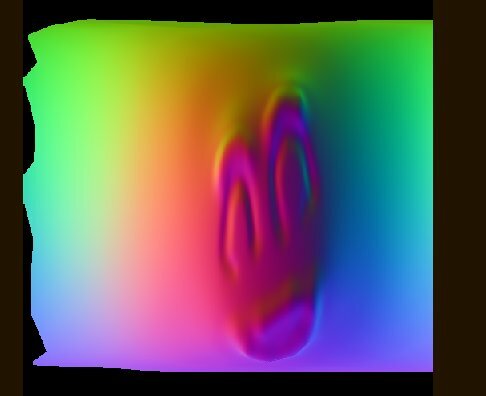 We need a normal map from tangent space. 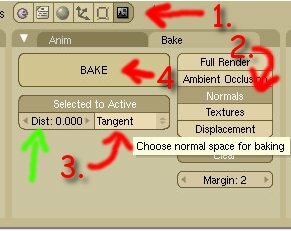 Therefore click on the render button (1) and go to the bake window. 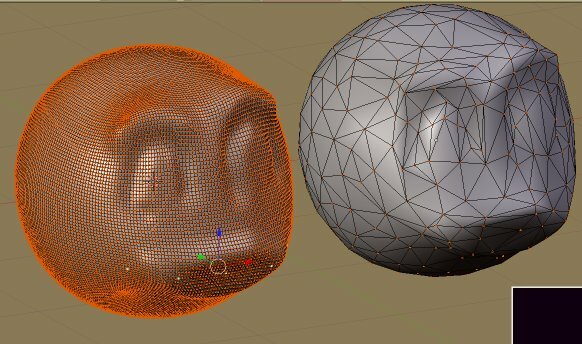 Select normals as bake method (2) an then "from tangent space" (3). Now push the bake button (4). Here's a comparison of the low-poly model with normal map and the high-poly model. Of course you can also create textures the same way just select Textures from the bake settings. Best View on Firefox and IE7 - (C) by Viktor W.